The Coca Cola Company officially announced the establishment of one of its largest and most technologically advanced plants in the city of Liberia, Guanacaste. The new plan represents an initial investment of approximately $50 million and will be located across the Daniel Oduber International Airport in the Solarium Free Trade Zone; the plant of 34,000 square meters (365,973 square feet or 8.4 acres) is located in a property of 103,000 square meters (25.42 acres) and will replace the previous operation that was located at La Uruca, San José. It will be built in 18 months and would start operating on January 1st, 2020. Coca Cola estimates that it will create an additional 130 jobs by 2020. “We celebrate for Costa Rica and, especially for Guanacaste, the announcement of the choice of Liberia as the venue of one of the three most modern Coca Cola plants to produce concentrates. It confirms that the country is an investment destination that is based on the quality of its people, our stability and competitiveness; it reinforces us to continue redoubling efforts in which these investments are made in our provinces, to continue strengthening territorial development with generation of employment, welfare and opportunities. In this case, they are linked to local projects such as the Chorotega Regional Market, the expansion of the Daniel Oduber Airport and those that are executed in production, water, education and health, “said President Solís Rivera. “We are proud to make this announcement not only because we believe in the growth opportunities of Costa Rica, but also that our concentrate plant is celebrating 50 years of being installed in Costa Rica,” said Roberto Mercadé, President of Coca-Cola for Latin Center. “The project represents interesting opportunities for local linkage, particularly in the creation of indirect sources of employment, purchase of inputs and links with local organizations,” added Mercadé. At this time, Coca Cola is the leading exporter in the food sector and the third largest exporter of goods in Costa Rica, according to data from the Foreign Trade Promoter (Procomer). In 2017, Costa Rica exported $ 10,665 million of goods, 7% more than in 2016. The contribution of Coca Cola is accounted in this important data. “With the investment that the Coca-Cola Company is making in the new concentrate plant, we aim to double exports by 2024,” concluded Mercadé. From Costa Rica, not only the concentrate is supplied to Central America, the Caribbean, Chile, Mexico, Brazil and Argentina to produce Coca-Cola, but also to another 89 drinks owned by the Coca-Cola Company. Likewise, and in special cases, the European Union and Puerto Rico are supplied. Proof of this is that due to the devastation of Hurricane Maria from Costa Rica the concentrate for the Caribbean island has been replaced. Among the best in the world. The new Coca-Cola Concentrates plant will be among the best in the world. It is expected that, at the time of the plant’s inauguration, it will be the most modern in technology within the corporation. Part of the reasons are that it will use robots to carry out the packaging of the products, at some moments, and will use different systems to give traceability to the materials, among others. The Coca-Cola concentrate plant will be friendly to the environment, as it is designed to apply for LEED Silver certification, which is a seal of quality that it grants buildings to prove that they are sustainable and good with the environment. The opening of Planet Hollywood Beach Resort Costa Rica was announced by Sunwing Travel Group, a North American integrated travel company, which signed a deal with iconic lifestyle brand Planet Hollywood to dramatically increase the footprint of Planet Hollywood’s hotel operations globally. For more than 25 years, the Planet Hollywood brand has been positioned as the authority on entertainment and popular culture. Capitalizing on its close celebrity ties and the universal appeal of movies, television, music, and sports, the Planet Hollywood brand has been successful across the gaming, restaurant, lodging, retail, leisure and entertainment sectors. he new Planet Hollywood Beach Resort Costa Rica which will be located in Playa Manzanillo, Bahia Culebra, Papagayo Gulf in Guanacaste, will be the first resort under this new agreement; where customers can “Vacation like a Star™” and interact with Hollywood memorabilia, enjoy entertainment-themed facilities, purchase popular brand merchandise, and maybe even catch a view of a vacationing starlet. The new Planet Hollywood resorts will use technology to heighten the resort experience, from interactive touch-screen digital displays narrating the memorabilia experience to PHTV™ in-suite and throughout the resort, keeping guests up-to-date with live streaming of events and activities. The brand is investing in details from music architecture to help set the mood to Hollywood lighting to make sure everyone looks fabulous. The hotel should open doors for the fall of this 2018. Carlson Rezidor Hotel Group, one of the world’s largest hotel groups, has announced the signing of a new Radisson Blu in Costa Rica. The Radisson Blu Resort & Spa Papagayo, Costa Rica, will offer 100 rooms and expected to break ground by lat 2019, and opening in December 2010. 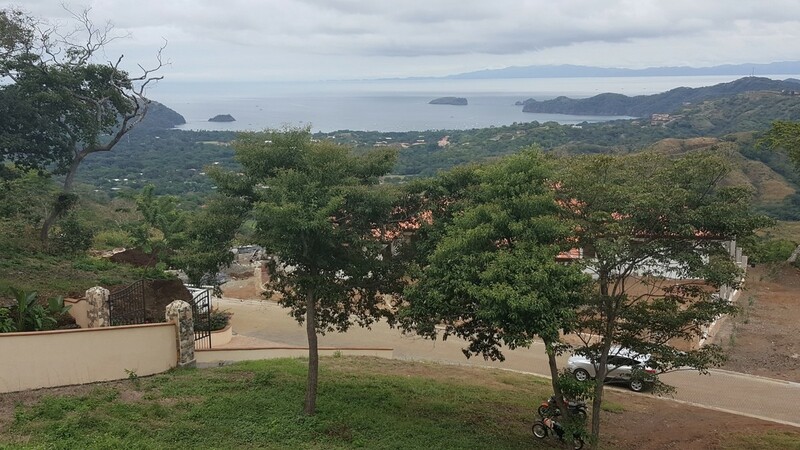 The upscale full-service hotel will be part of the Papagayo Peninsula, located on the north Pacific coast of Costa Rica and is in the northwest province of Guanacaste, an area is known for its breathtaking beaches. 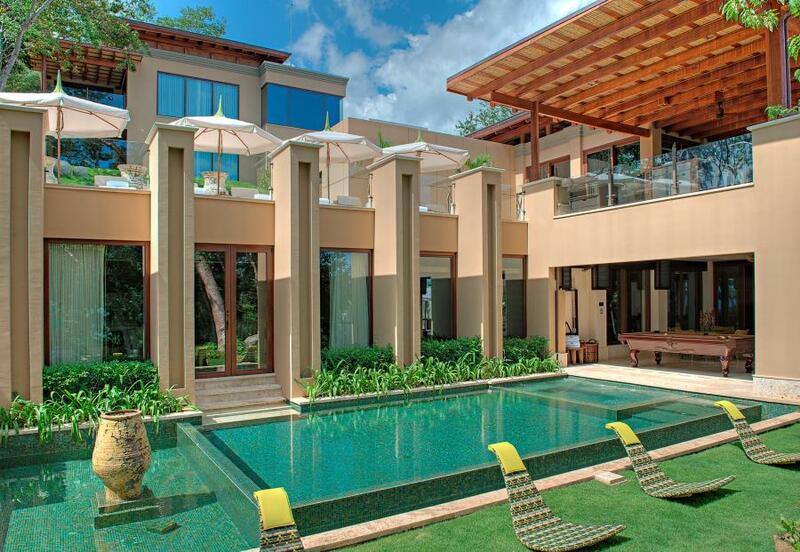 Neighbors include the Four Seasons Resort and Andaz Peninsula Papagayo Resort. Operated by Carlson Rezidor Hotel Group, Radisson Blu is one of the world’s leading hotel brands with 300 hotels in operation in 69 countries, mostly outside the United States, including those in Europe, Africa, and Asia. As this Next Avenue article explains, International Living is out with its Annual Global Retirement Index and has chosen the Top 10 places to retire abroad for 2018. The researchers combined data on 24 countries with reporting from International Living correspondents to come up with the list. The top country for 2018: Costa Rica. See the following slideshow to learn about each of the Top 10 places. Costa Rica, a popular, safe, low-stress place for tourists and U.S. expats, jumped from No. 4 to No. 1 in this year’s International Living Annual Global Retirement Index. The economy is growing, the thermal springs are bubbling and the beaches are enticing. The Central American country known for its Pura Vida (rough translation: “life is good”) performed strongly in all 12 categories that comprised the rankings, but was especially impressive for these four: Buying & Investing, Entertainment & Amenities, Health Care and Healthy Lifestyle. A furnished two-bedroom home can be rented for $500 a month and you can buy an oceanview property for under $200,000. Costa Rica’s national health care system (Caja) is open to expat residents at a low cost — about $95 a month for a couple. A retired couple can live comfortably on $2,500 a month in Costa Rica, say International Living’s editors. And expats can qualify as residents if they have at least $1,000 a month in income from Social Security, a pension or a similar source per couple. he downsides: mosquitoes on the beaches, a rainy season and a bureaucracy that means getting some things done can take time. In Mexico, International Living says, a couple can live on $1,500 to $3,000 a month — including rent and health care — depending on location. And talk about varying locations: You can choose to retire on a tropical beach, in the temperate mountains, in a Spanish-colonial city or in a small village. International Living says health care is “good to excellent.” Private health care typically costs a quarter to half of what it does in the U.S. If you have a residence visa, you can get Mexico’s public health care for a few hundred dollars a year. That public health care is free if you’re over 60 and a legal resident. An expat favorite because of its proximity to the United States, sunny Panama scored well in this year’s International Living rankings for many reasons. Chief among them: the country’s famed benefits and discounts for retirees and its ease of obtaining residency. Some prefer living in the mountain towns; others choose beachy areas such as Coronado or Bocas Del Toro. Expats can often live well on $1,500 a month, if they choose a place other than the capital, Panama City. Health care typically costs 40 to 75% less than in the United States. As for taxes, International Living’s Panama Editor, Jessica Ramesch, says she pays no income tax on her overseas earnings; she has been living in the country for 12 years. A perennial favorite of International Living and North American expats, Ecuador ranks No. 4 this year because it has so much to offer in so many ways. The South American country scored well in International Living’s categories of Benefits & Discounts, Fitting In, Entertainment & Amenities and Healthy Lifestyle, but Climate was a standout. The weather is especially spectacular in places like Cotacachi, in the Andes, where the high altitude keeps temperatures moderate year-round. A family of four can live on about $1,200 a month, not including rent. A semi-furnished one-bedroom apartment in the colonial city of Cuenca goes for about $200 a month. International Living’s top choice in Asia for 2018 is described by the editors as “easy, English-speaking and First World.” The South Eastern paradise with over 870 islands is also known for a low cost of living; in Kuala Lumpur, a couple can live comfortably on $1,500 a month or extravagantly on $2,500 a month (including rent), International Living says. Malaysia scored best of the 24 countries ranked in the Entertainment and Amenities category. A special favorite of locals: street food. International Living says this sophisticated country on the northern tip of South America is the second most biodiverse nation in the world. So you won’t have any trouble finding a suitable climate. There are tropical coastal beach cities as well as popular mountain locales such as Medellin (not the cartel capital it used to be). Colombia scores high for health care, too. The World Health Organization ranked it No. 22 out of 191 for quality of care, ahead of the United States and Canada. While not the least expensive place to retire, Colombia is pretty affordable. International Living says a couple’s total cost of living can be $2,000 a month or less. International Living names Portugal “Europe’s Best Retirement Haven” and competitor Live and Invest Overseas is a fan too, just dubbing Lisbon, Portugal its No. 1 place to live in the world. For International Living, Portugal ranks high for its affordable lifestyle and friendly residents. A couple can pay $1,000 a month for a four-bedroom, four-bath home near Lisbon (whose airport has direct flights to most major cities). English is widely spoken in Lisbon. Health care is remarkably affordable, though there can be some bureaucratic red tape. International Living says tropical Nicaragua gives you “the best bang for your buck in Latin America.” A couple renting there and eating out a few times a week can easily live well on $1,500 a month, and often much less, the editors say. Nicaragua is known for its surfing, fishing, hiking and — in its cities — shopping and entertainment. “Nicaragua is different enough to be interesting, but not so different as to be bizarre,” expats Darrell and Amy Bushnell told International Living contributor Scott Hed. They moved to Nicaragua more than a decade ago. Expats tend to favor Granada and San Juan del Sur, where locals speak some English, though knowing Spanish can be helpful. The other European country in International Living’s Top 10 (neighboring Portugal is No. 7), laidback Spain is growing increasingly popular among U.S. expats. Its cost of living is one of the lowest in Europe and the living itself is very much First World, especially in cities such as Madrid and Barcelona. The climate ranges from what you’d find in the Pacific Northwest in Spain’s northwest region to hot, dry and sunny in the southern part of the country. New to this year’s Top 10 ranking from International Living, the South American country of Peru is becoming an expat favorite (especially in the vibrant capital, Lima). Think of it as a Goldilocks locale for retirees: the weather is not too hot and not too cold and the food is more than just right. Living costs are enticing, too: International Living says you can find two-bedroom apartments renting for as little as $250 a month. There are 1,500 miles of coastline (from Ecuador to Chile), terrific surfing, old colonial cities, mountains, canyons and, of course, the tourist favorites of Machu Picchu and the Sacred Valley of the Incas. But International Living’s Peru Correspondent Steve LePoidevin says Peru is “not in the top countries when it comes to public health care,” although there is “a large network of excellent private clinics and hospitals.” A health insurance policy can cost as little as $100 a month. MIAMI--(BUSINESS WIRE)--Gencom, a leading Miami-based international luxury hospitality and residential real estate investment and development firm, today announces a more than USD 100 million investment toward a major transformation of Peninsula Papagayo, a 1,400-acre premier residential and resort destination in the Guanacaste province in northwestern Costa Rica. 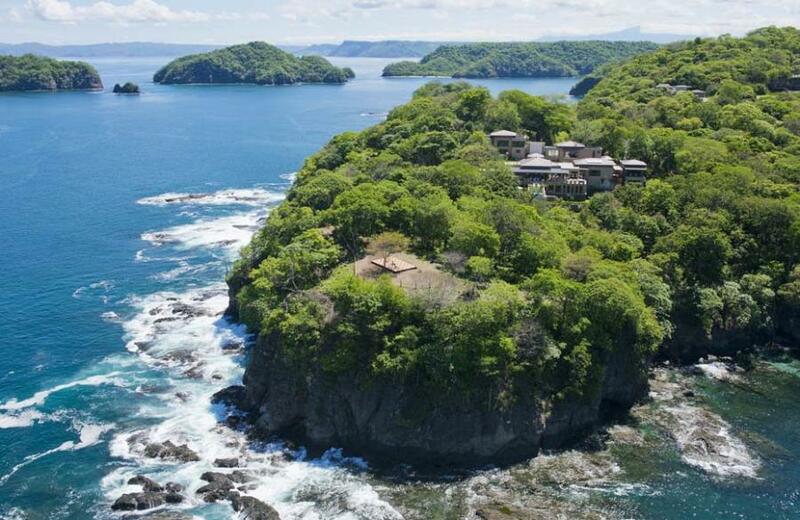 Beginning in December 2017 with the debut of the re-imagined Four Seasons Resort Costa Rica, this investment will signal the launch of a long-term plan to connect and celebrate the sprawling peninsula from end to end for the first time, bringing an unprecedented new level of meaningful eco-luxury and transformative experiences to the Americas. With the completion of this upcoming capital improvements project, homeowners, resort guests and visitors to Costa Rica will experience the natural wonders of the 1,400-acre biodiverse peninsula through a combination of new builds; major enhancements including the multi-million renovation of Four Seasons Resort Costa Rica; first-ever Peninsula Papagayo amenities; transformative only-here explorations; and an ongoing focus on sustainability and wellness including a peninsula-wide network of more than eight miles of nature trails designed to integrate man and nature and help preserve one of the most extraordinary biological corridors on the planet. Peninsula Papagayo is located 30 minutes from Liberia International Airport, which offers more than 100 weekly flights seasonally from major cities in the U.S., Canada, U.K. and across Central America. It is home to 11 miles of dramatic coastline, eight miles of majestic bluff edges, seven sandy beaches and one of the few tropical dry forests on the planet. Founded in 1987 by Karim Alibhai, Gencom is a U.S.-based investment firm that owns and operates prized real estate around the world, with an emphasis on luxury hotels, resorts and residential properties. Iconic properties include Four Seasons Resort Costa Rica at Peninsula Papagayo, The Ritz-Carlton Key Biscayne, Miami in Fla., The Ritz-Carlton, Bachelor Gulch in Colorado and Rosewood Tucker’s Point in Bermuda. Headquartered in Miami, Gencom is fully integrated, with expertise in virtually every aspect of development, acquisition, financing, asset management and the sale of hospitality properties. Gencom has had success developing, purchasing and exiting single assets and hotel portfolios, as well as in creating, purchasing and growing hospitality platform investments throughout the United States, Caribbean and Europe. 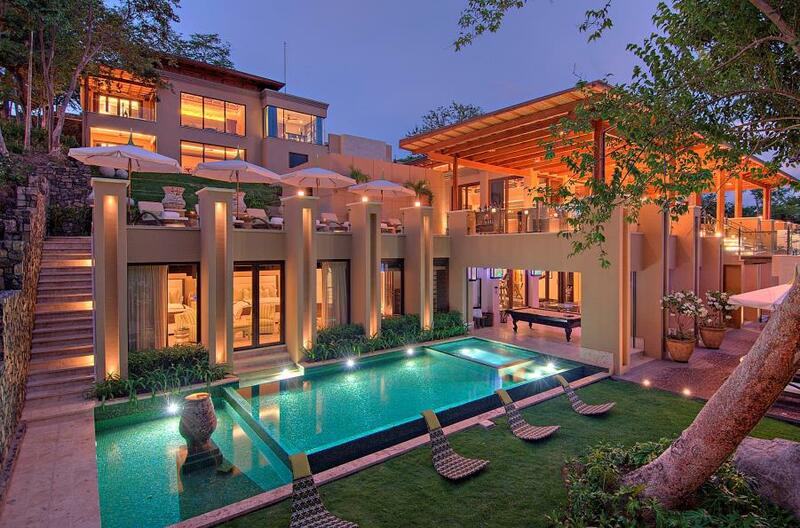 Located on a bluff along Costa Rica's Peninsula Papagayo, in the northwest province of Guanacaste and along the country’s north Pacific Coast, Villa Manzu is a spectacular private villa catering to the highest end clientele. 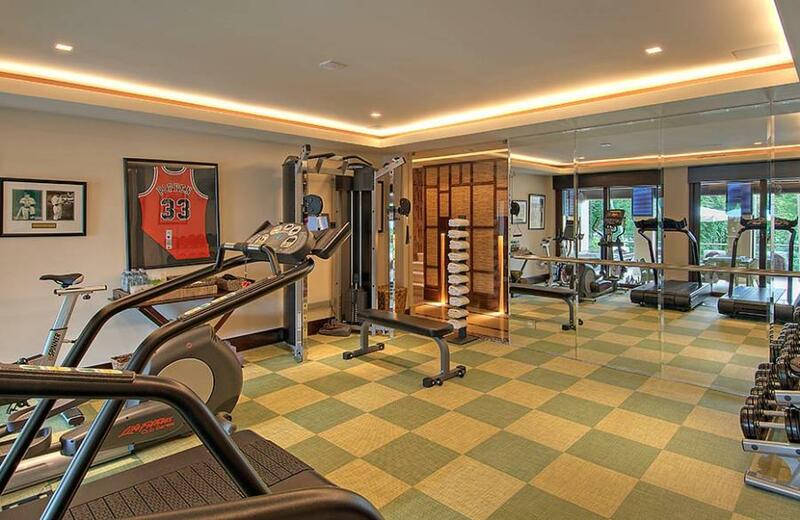 I was excited to see TMZ ran photos this week from one of my favorite villas in the world, as the entire Kardashian family enjoyed a long vacation there. 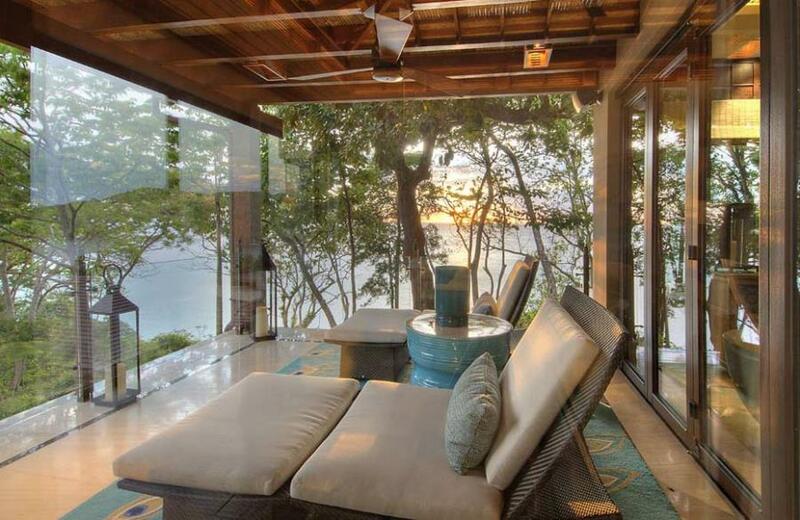 I can understand why celebrities love Costa Rica and the Villa Manzu since it offers up a secluded and very private location. 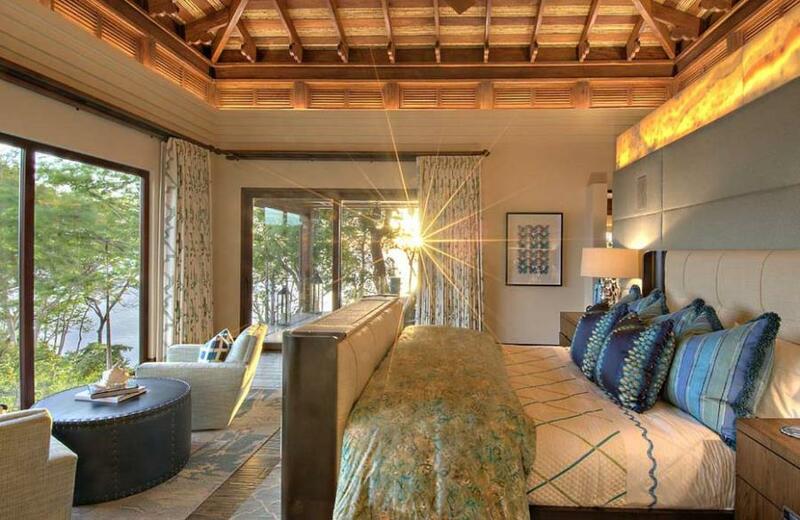 With eight specialty suites, a full-time staff and full security, this is the perfect celebrity vacation retreat. I have been a longtime fan of Costa Rica and have noticed its transition from a sleepy coastal retreat to a world class destination of resorts and villas. On one of my recent luxury escapes to the Guanacaste area, I instantly fell in love with the locals and the tropical, warm climate and beaches. Villa Manzu rents for over $23,000 nightly in high season and features 30,000 square feet on five acres of lush isolated peninsula. 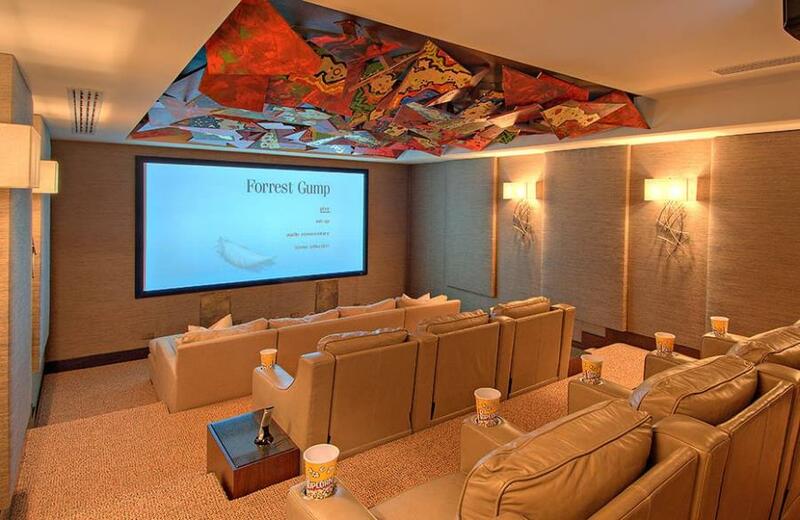 It has two swimming pools, a spa and private theater as well as multiple bars and party rooms. The 180-degree views of the sea take you away to another world as monkeys play nearby in the trees. Inside the villa, eight full suites offer up 15 beds along with full bathroom suites featuring onyx and marble tubs and showers. The Villa’s full staff and private Executive Chef prepare the most amazing gourmet meals and the fully stocked wine room entices with the villa’s award winning cigars. And did I mention the villa also comes stocked with a Range Rover, Ford Explorer SUV and a Jeep Wrangler all with private drivers? The winding pathways from the villa lead to several nearby beaches only 100 yards away. You can explore the sandy beaches or visit the Playa Prieta Beach Club for drinks or you can stay at the villa and enjoy your own yoga pavilion and entertainment rooms. The surrounding area is also home to the amazing Four Seasons Resort as well as major future developments, including a new Hard Rock Hotel, Ritz-Carlton Hotel, W Hotel, Rosewood Papagayo and much more. 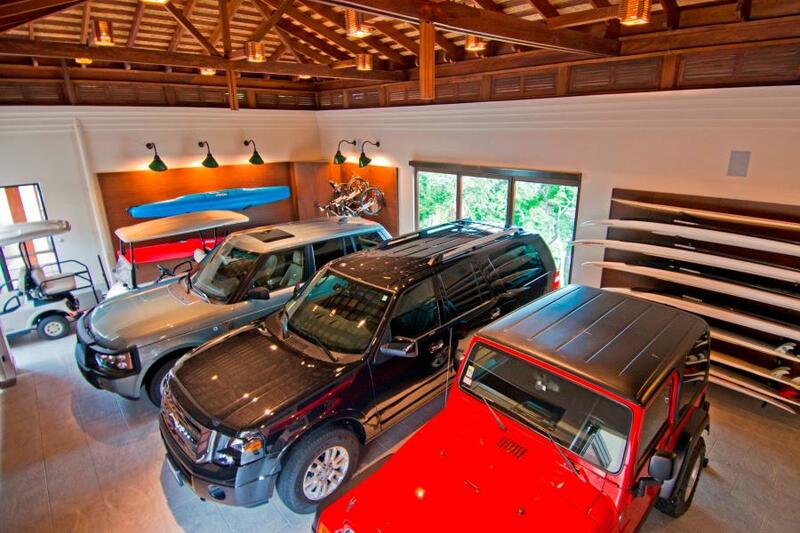 The Villa Manzu is reachable by only a 40-minute drive from the Liberia, Costa Rica International Airport (LIR) where the staff will be waiting for you for a seamless arrival and departure. Orlando, FL – January 19, 2017 – Hard Rock International makes waves today as it announces plans to bring the Hard Rock Hotels experience to Costa Rica with the all-inclusive Hard Rock Hotel Papagayo, Costa Rica. Hard Rock, in collaboration with Sunwing Travel Group, is set to open Costa Rica’s first Hard Rock Hotel by early 2019. The brand’s strategic partnership with Sunwing Travel Group, the largest tour operator in North America, provides the perfect opportunity for future growth within the region. With Hard Rock and Sunwing Travel Group’s shared vision of providing authentic experiences in world-class destinations, this new partnership paves the way for potential collaborations in both the Caribbean and Latin America. 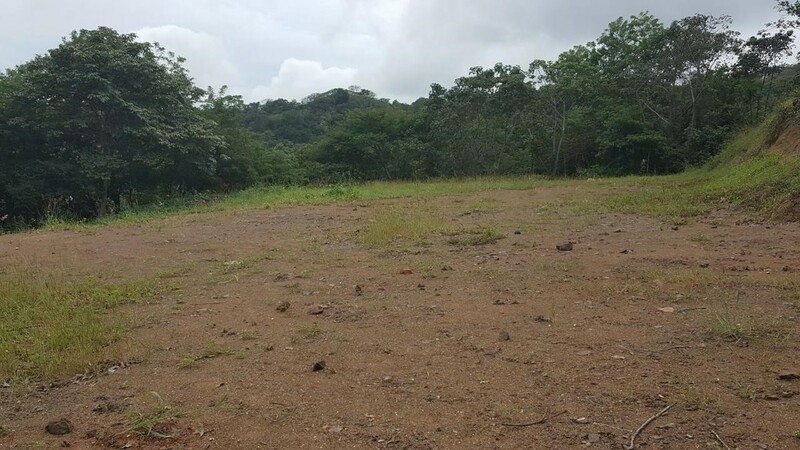 The 294-room modern retreat will be centrally located just 30 minutes from Liberia International Airport, providing travelers with easy access to Papagayo’s Gulf and Peninsula. Recognized as one of the country’s most popular resort destinations, guests of this Hard Rock Hotel will be treated to secluded landscapes, natural wonders, eco-adventure excursions and an up close look at Costa Rica’s impressive biodiversity. Additionally, the hotel will be managed by Blue Diamond Resorts – a leading operator with a proven track record of delivering high-quality resort experiences throughout the Caribbean’s most discerning locations. In true Hard Rock style, the resort will boast brand exclusive offerings, such as a full-service Rock Spa featuring relaxing and recharging treatments and The Sound of Your Stay music amenity program offering free in-room Fender guitar checkouts. Vacationers seeking the ultimate experience will have the opportunity to upgrade their room to the Rock Royalty Level and enjoy VIP services including preferred room locations, personal assistants, upgraded bath amenities and one-of-a-kind music perks. Hard Rock Hotel Papagayo, Costa Rica will cater to multigenerational leisure travelers with several family-friendly offerings, such as the brand’s two signature hangouts exclusively for younger rockers, Teen Spirit and Hard Rock Roxity Kids Club. In addition, plans call for a vast array of dining options, ranging from an all-day buffet restaurant to four a la carte eateries, including a North American steak house, an Asian restaurant, an Italian trattoria and an internationally inspired eatery. One of the largest integrated travel businesses in North America, Sunwing Travel Group is comprised of Sunwing Vacations, the leading leisure tour operator in Canada; Sunwing Airlines, Canada’s premier leisure airline; Signature Vacations, one of Canada’s leading tour operators for all inclusive package vacations and Vacation Express, a growing tour operator in the United States together with the Group’s own travel retail businesses SellOffVacations.com and Luxe Destination Weddings. Blue Diamond Resorts is the Sunwing Travel Group’s own hotel management company, an innovative organization that operates popular resort brands like Royalton Luxury Resorts, Memories, CHIC All Exclusive, and Starfish, across the Caribbean, Cuba and Mexico; while NexusTours provides destination management services to individuals, agencies, tour groups, corporate businesses and tour operators. Swiss carrier Edelweiss Air announced the opening of a new non-stop route between Zurich and San José starting May 9, 2017. President Luis Guillermo Solís and Tourism Minister Mauricio Ventura officially presented the new route Monday evening at a special event held at the National Theater in downtown San José. Flights will depart from Zurich on Tuesdays at 5:35 p.m. and on Fridays at 12:25 p.m. From San José flights will depart at 11:35 p.m. on Tuesdays and at 6:20 p.m. on Fridays. The route will be operated using Airbus A340-300 aircraft with a capacity of 314 seats, the airline said. “This announcement reinforces Costa Rica’s image of a highly competitive and a highly demanded tourist destination,” Solís said. The president said the launching of the new route will also bring cultural and economic benefits. Costa Rica and Switzerland have a free trade agreement in force since 2014. The Edelweiss flight will be the sixth from Europe, joining flights of Iberia from Madrid, British Airways from London and Condor from Frankfurt. In November Condor will start flying from Munich and Air France will open a route from Paris. Data from the Costa Rican Tourism Board indicates that in 2015 some 400,000 people entered the country from Europe. The figure represents 15 percent of the total number of people who entered on a tourist visa last year, and also an increase of 22,633 arrivals from 2014. Edelweiss, a member of Lufthansa Group, carries over 1.3 million passengers per year to 40 destinations worldwide. Thomson Airways from 02NOV15 is adding nonstop service to Costa Rica, which sees Boeing 787 Dreamliner aircraft operates London Gatwick – Liberia route. This flight will be served once a week on seasonal basis. Planned schedule as follow. Costa Rica tourism cruised past another milestone in 2015, attracting a record-breaking 2.66 million tourists from around the world, Tourism Minister Mauricio Ventura said Friday. That means that the equivalent of more than half the population of the entire country of Costa Rica — 4.8 million people — visited the country last year. Continued growth from the U.S., Costa Rica’s most important tourism market, and the expansion of new airlines were among the top reasons for the continued growth, Ventura told reporters. The increasing number of tourists also helped the tourism sector swell by 9 percent in 2015, outpacing the national GDP of 2.8 percent by threefold. Ventura called the tourism sector a “motor for development” in Costa Rica, providing jobs and growing the country’s international brand. According to figures from the Costa Rican Tourism Board (ICT), the tourism sector was responsible for more than $2.8 billion in revenue during 2015 and employs roughly 600,000 people in Costa Rica through direct and indirect employment. That’s a $246 million increase over 2014, Ventura said. The Kratochvil family — the one millionth U.S. tourist to visit Costa Rica in 2015 — receives a big welcome parade that included masquerades and traditional cimarrona music. The United States is by far the largest single market for tourists to Costa Rica, totaling roughly 40 percent of all visitors with 1,077,044 U.S. visitors in 2015. The average U.S. visitor to Costa Rica stays for just over 11 days and spends an average of $1,340, according to ICT figures. Nearly 400,000 tourists from Europe visited last year, including an important increase in British tourists. Thanks to new direct flights from British Airways, there was a 20 percent increase in tourists from the United Kingdom, the second largest percentage increase per country after China. China still has a relatively small number of visitors but saw 29 percent growth in 2015 over 2014. Air traffic accounts for the largest amount of visitors. Thanks to new routes from British Airways, Southwest Airlines and other airlines, air traffic to Costa Rica grew 8 percent. Ventura said visitors cite Tico hospitality as one of their favorite things about visiting Costa Rica. The worst? The quality of the roads. But bumpy roads didn’t kept away the 30 percent of tourists who came back to Costa Rica for at least a second visit, according to ICT figures. To maintain those numbers, Ventura said that ICT was working to update its sustainable tourism certification program and to expand cultural offerings for tourists beyond Costa Rica’s world-famous wildlife and natural beauty. 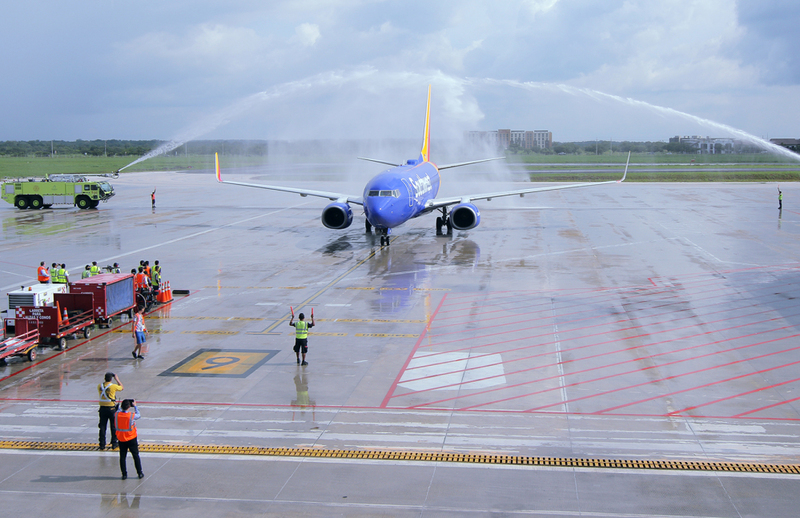 Southwest Airlines’ inaugural flight between Houston and Liberia arrives at Daniel Oduber International Airport on Nov. 1, 2015. The carrier will start a Baltimore-Liberia route on Nov. 7. Alaska Airlines, Thomson Airways and Southwest Airlines between inaugurated new routes to and from Costa Rica’s international terminals in recent days. On Saturday, Alaska made its first flight to Costa Rica on its Los Angeles-San José route, which is now operating four times a week. On Sunday, the airline launched its first flight between Los Angeles and Liberia, Guanacaste. Four flights to Costa Rica a week will also be offered on that route. Another U.S. carrier, Southwest Airlines, also launched the first flight of its daily route between Houston and Liberia on Sunday. On Nov. 7 the carrier will begin its route between Baltimore and Liberia, which will operate every Saturday. On Monday, the U.K.’s Thomson Airways made its first weekly flight on the Gatwick-Liberia route using a B787-800 Dreamliner with a capacity for 291 passengers. Tourism Minister Mauricio Ventura said authorities are pleased that the new airlines and new routes benefit both of the country’s international terminals. Costa Rica now has 70 connections to destinations worldwide, according to ICT data. A total of 17 airlines operate to and from Juan Santamaría International Airport, allowing direct connections with flights to 46 destinations. Ten airlines operate flights to and from Daniel Oduber International Airport, providing connections to 24 destinations. Ventura said attracting new airlines is daily work, and that there should be more new routes and airlines to announce in the near future. Los hogares guanacastecos prosperan a un ritmo más acelerado que los del resto de Costa Rica: aumentan los ingresos, disminuye la pobreza y cae el desempleo. Lo hacen con un condimento muy propio, pues las entradas que más repuntan son las que generan ellos mismos, con empresas y ventas de servicios; aunque los ingresos por salario siguen teniendo el mayor peso. Del 2014 al 2015, las entradas promedio de los hogares crecieron un 21%. Una cifra que supera, por mucho, el crecimiento promedio del país, que fue de un 3%. Si se compara contra el 2010, la región Chorotega creció en un 56% mientras que el promedio del país lo hizo en un 39%. Tampoco en esta comparación lo supera ninguna otra región, según las cifras analizadas por EF de las últimas cinco ediciones de la Encuesta Nacional de Hogares (Enaho), del Instituto Nacional de Estadística y Censos (INEC). Todos los datos fueron deflatados a precios corrientes del 2015. Para la gerente del INEC, Floribel Méndez, el avance de la Región Chorotega puede tener relación con la construcción de la Interamericana Norte y los índices de ocupación al alza. También aclaró que la Enaho 2015 toma como referencia un marco muestral ajustado, por lo que es probable que ahora se esté midiendo mejor la realidad de las regiones de planificación. El progreso se nota en los datos y también lo evidencia Abril Chango, estudiante de administración de empresas de la Universidad de Costa Rica (UCR). En noviembre pasado, la joven de 26 años abrió una venta de comidas frente al parque de Liberia y desde entonces solo ha percibido ganancias, dice. Chango es el ejemplo vivo de lo que está ocurriendo en la región. Las actividades de alojamiento y los servicios de comida aumentaron su peso relativo en la economía de un 10% en el 2014 a un 14% en el 2015. Es, de hecho, el rubro que más aumentó su peso relativo, robándole puntos al que tienen las actividades de enseñanza y la salud, que son a su vez las que más impactan entre los pobres de la zona, según las nuevas cifras del Índice de Pobreza Multidimensional (IPM), del INEC. “En los últimos años se ha incentivado en la región una cultura de emprendedurismo para que las personas comiencen a generar sus propios negocios”, explica el profesor de turismo de la UCR Víctor Julio Baltodano. Las cifras coinciden con Baltodano. El ingreso por actividades autónomas incrementó su peso relativo en las entradas totales de los hogares, pasando de un 16% en el 2014 a un 18% en el 2015. Si se calcula en términos de dinero, la retribución que llegó a las familias por medio de actividades autónomas fue un 43% mayor en el 2015 que en el 2014. Las entradas percibidas por alquilar propiedades también aumentaron en un 41%. En la balanza, sin embargo, siguen pesando más los salarios, que tienen una participación del 64% en los ingresos totales de los hogares. La prosperidad de Guanacaste también se relaciona con el descenso en los indicadores de desempleo abierto. El concepto abarca a todas las personas en edad y disposición de trabajar que, a pesar de buscarlo, no encuentran un trabajo. La tasa de desempleo abierta en esta región pasó de 12,5 a 9,66 por cada cien habitantes, el mayor descenso entre todas las regiones del país. Es un problema que, sin embargo, sigue estancando más a los hogares más pobres. El primer quintil tiene una tasa de desempleo abierta del 33,4% mientras en el segundo quintil afecta a menos de la mitad de ese porcentaje y para los más ricos es solo de un 2%. En este caso, el indicador va en contra de su propia prosperidad, pues es el mayor en comparación con el resto de regiones del país. También es cierto que esa población se hace cada vez más pequeña, pues la pobreza extrema sigue desvaneciéndose en la zona guanacasteca. Aunque el ingreso aumentó proporcionalmente más entre los hogares más ricos que entre los más pobres, sí tuvo un impacto contra este indicador, que cayó de un 12,1% a un 10,4%. La Chorotega fue, de hecho, la única región en la que descendió de manera significativa la pobreza extrema. En el resto del país, más bien, aumentó. También cayó la pobreza no extrema, que pasó de un 21,1% a un 16,6%. Este es el mayor cambio reportado por la Enaho entre 2014 y 2015. A pesar de todos estos repuntes, Guanacaste sigue teniendo una desigualdad creciente entre los hogares. El índice de Gini, que mide la desigualdad per cápita, aumentó del 0.501 al 0.508 en la región Chorotega. Mientras más se acerque al 1, más desigual es una población. En otras como la Huetar Norte y la Pacífico Central también se incrementó esa brecha. El Gobierno dice tener la ruta clara para atacar la desigualdad en Guanacaste. La vicepresidenta de la República, Ana Helena Chacón, señala una lista de medidas de prevención como la educación técnica y la formación sexual. También, apunta que atacarán el desempleo mapeando las necesidades de las empresas de la zona para comenzar a formar más técnicos. El camino deberá estar mucho más claro a partir de ahora, pues una nueva medición viene a especificar cuáles son las áreas que más pesan en la pobreza. Uno de los factores que más afecta a la región Chorotega es la serie de privaciones en vivienda. Esta dimensión, medida por el Índice de Pobreza Multidimensional (IPM), tiene un peso relativo de 28,3 en esta región. Entre otras cosas, sus habitantes carecen de acceso a Internet con mayor frecuencia que el resto de la población. La salud también afecta a los pobres, con un peso del 25,4, el segundo rubro más alto. Con estos indicadores, el camino está marcado. Seguirlo es indispensable para que Guancaste siga creciendo. Can a simple move really make you into a healthier person? I’ve lost 50 lbs since moving here six months ago, and haven’t done anything different! I don’t have any arthritis down here! My blood pressure was sky-rocketing and now it’s normal! These aren’t just a few lucky stories; for the “Golden Generation,” who have migrated from the Americas’ northern countries, this is the norm. Many have been even told by their doctors that they have added an extra10 years onto their life! You don’t have to wonder too long before it is simple to see why moving to a warmer climate and a cooler culture like that of Costa Rica can make such an impact on one’s health. 1. You get more sunlight. I personally was not taking a daily dose of Vitamin D before moving to Central America. We left frigid, dark Maryland in the thick of winter. As you can imagine, my mood significantly improved upon arrival. Access to warmer weather also loosens up the joints. I’ve heard many retirees beam that their arthritis doesn’t bother them at all down here. As long as you don’t leave yourself too long in the steady sunlight present in a country closer to the equator, you can enjoy the benefits of sunlight with less risk accompanied by pro-longed exposure. 2. You have less stress. The entire family at Palm Real Estate wishes you all the best and is here to assist you with all of your local real estate wants, needs, and desires. Whether it's short-term or long-term vacation rentals or identifying the most attractive opportunities in the expanding real estate market.